The result will convince you. How do you define a radical kiteboard? By combining apparent contradictions. More performance with more control. More stability with less weight. 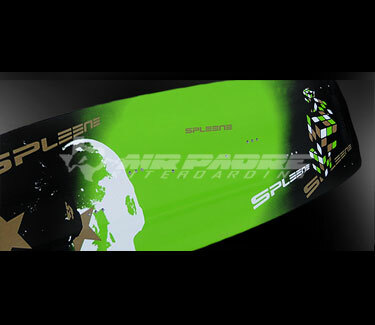 As a result Spleene rs-boards always provide the maximum output. This applies not only to the board. Also you as a rider will show a significantly improved performance. However, the rs is not only about performance. It’s also about how easy it can be called up and controlled. Beveled Rail: lateral lifting of the rail for softer rides in choppy water. Carbon-X Layer: A diagonally arranged carbon stripe eliminates torsion and generates clearly more pop at the rs boards. Dynamic Flex Control: The layers of the fibreglass are seperated in zones and decreasing towards the tips. Full Center Rail: The more solid edge in the centre of the board prevents effectively from miscutting. Progressive Scoop-Rocker: For really early planing and riding easily through lulls. Stepless 3D Deck: Stepless 3D-Shape on top side. All transitions are without any step. This results simultaneously in a clear reduction of weight. 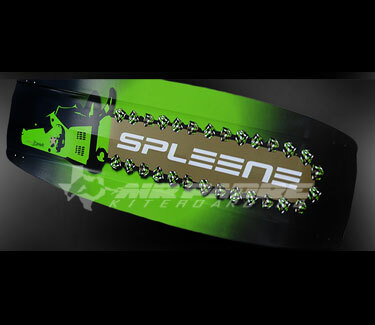 Twin 3D-Woodcore: All Spleene Boards are produced with a form-glued, CNC-milled woodcore. 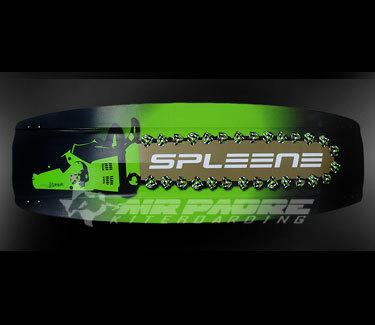 Advanced Jet Bottom Technology: This Shape-Detail describes a double concave channel on the base side of the board.